Media Bonanza: Editorials show overwhelming support to repeal Section 13! The editorials cross all party lines. From the National Post, to the Globe and Mail to the Toronto Star. Section 13 is the disgrace of Canada. Sadly our elected officials are busy sitting on their hands and want to keep reviewing and studying the impact of a repeal of Section 13. A political solution might come one day, but the first test, and a direct benefactor of the Moon report will be the Marc Lemire Constitutional Challenge, which is currently awaiting a decision from the Canadian Human Rights Tribunal, on exactly the same grounds that Moon studied. Thanks for the Moon Report, Lemire’s constitutional challenge just gained huge momentum! Please help the Marc Lemire Constitutional Challenge. The best chance to overturn Section 13! “For too long, Canadians accused of discriminatory speech before a human rights tribunal have been denied any real defence. It is thus refreshing to see a report commissioned by the Canadian Human Rights Commission propose legislative changes that would divert at least some of such cases to Canada's courts, where proper defences exist--truth, fair comment and predictable rules of procedure to name but three. Moon's report was commissioned after the CHRC's difficult spring. A controversial prosecution revealed several instances of what looked like Orwellian tactics by the CHRC -- commission agents provocateur posing as racists in chat rooms, for instance -- and the Canadian public further became aware of the CHRC's perfect score in obtaining convictions. As simple justice requires an accused person be tried in a setting where the possibility of acquittal exists, Moon's conclusion that hate speech prosecutions be the exclusive province of the Criminal Code is welcome. It is not everything free-speech advocates have been asking for. But it is far more than a baby step in the right direction. “Allowing a human-rights commission to police the country's newspapers and magazines for their coverage of religious or other minorities is a terrible idea, yet that is the law, though most Canadians may not realize it. Now, an independent report requested by the Canadian Human Rights Commission recommends a repeal of the section on hate speech in the Canadian Human Rights Act. The report is a much-needed blast of common sense. By accident more than design, the Canadian Human Rights Commission assumed responsibility over the news media. Initially, the anti-hate portion of the rights act covered telephone messages. After the Anti-Terrorism Act was passed in 2001, the human rights commission's responsibility extended to the Internet. Today, most news organizations operate websites. Hence, the commission is in a watchdog role that sits awkwardly in a free society. “At last, someone with some authority has had the courage to state the obvious about the absurdity of the Canadian Human Rights Commission policing the nation's news media (or any other media) for offensive comments about particular religious or ethnic groups. "Any attempt to exclude from public discourse speech that stereotypes or defames the members of an identifiable group," Moon wrote in a report commissioned by the CHRC and made public this week, "would require extraordinary intervention by the state and would dramatically compromise the public commitment to freedom of expression." No kidding. The chief scandal here is that Moon had to write these words at all. Such a notion should have been glaringly obvious to the parliamentarians who wrote the law, the commissioners who enforced it and even the law students and lawyers who regularly abused it by pressing frivolous complaints. Freedom of expression and freedom of the press are among the primary liberties guaranteed us in our constitution. That they should have been undermined by a body established for the very purpose of defending human rights is a travesty. Unfortunately, the CHRC seems determined to cling to its powers. Chief commissioner Jennifer Lynch demoted Moon's recommendations to "suggestions," and said they would be part of a wide ranging public consultation on the commission's role. "We can envision Section 13 being retained with some amendments," she told the National Post. “Beyond that, does society need to cast additional chills on freedom of speech and spirited public discourse, to combat hatred? In the Star's view, no. But a controversial section of the Canadian Human Rights Act does just that. Section 13 makes it a "discriminatory practice" to communicate "any matter that is likely to expose a person or persons to hatred or contempt" via the Internet. That can be interpreted to cover defaming or stereotyping, a wider net than inciting hatred. Unlike the Criminal Code, there's no need to prove intent. And the penalty is serious. The federal rights tribunal can order the offending party to desist, to smarten up, and to pay as much as $30,000 in damages and penalties. Given Criminal Code protections, this needlessly chills free speech. “The right to free speech includes the right to argue and offend. You'd think this would be self-evident, yet it requires defending, here in Canada and internationally. Professor Richard Moon, a constitutional expert, recently prepared a report for the Canadian Human Rights Commission about regulating hate speech on the Internet. Mr. Moon sensibly recommends the commission get out of the business of regulating what Canadians write and say. In general, though, the state must not dictate which jokes cross the line, or which terms perpetuate stereotypes. Misguided attempts to safeguard religious groups from intolerance can ultimately have the opposite effect. “An independent report by the University of Windsor's Richard Moon says the Canadian Human Rights Commission should be stripped of its power to investigate online hate messages. Moon's assessment of the true role of the human rights commission is correct, but nothing will change unless the government introduces legislation to repeal the commission's sweeping powers. The will is clearly there. Just last month the Conservative party voted in favour of a resolution to eliminate the human rights commission's authority to "regulate, receive, investigate or adjudicate complaints" related to the Internet. The ball is now in the court of Justice Minister Rob Nicholson, who oversees the Canadian Human Rights Commission. Nicholson says he wants the all-party justice committee to hold public meetings and report back to Parliament before any decision is made. This week's report advocating the repeal of the unfair and intrusive hate-speech provision of the Canadian Human Rights Act is a victory for common sense and free speech. There is no place in a democracy that values robust debate for a Big Brother-style bureaucracy policing expression that some deem to be offensive. In the Internet age, such an approach is impossible. It's welcome news that Moon recommended that hate speech should be handled by the Criminal Code alone -- and only if it involves extreme expression that advocates, justifies or threatens violence. Censoring speech that stereotypes or defames minority groups isn't practical, Moon explained. What a breath of fresh air. Stop trying to clamp down on the media -- and anyone else engaging in the constitutionally guaranteed right of freedom of expression -- and focus on the real hate-mongers. In a real court. Over to you, Rob Nicholson. “My hero is a guy called Richard Moon. Other people have their Sidney Crosbys or Beyoncés, but I want Richard Moon’s autograph. I’m thinking of mounting his picture on my office wall. He’s the man. Who, you ask, is Richard Moon? Well, he’s a professor at the University of Windsor who has written a report, released this week, recommending that the Canadian Human Rights Commission no longer investigate complaints relating to hate speech. Who cares about that, you snort? You should, as the Human Rights Commission and all its little provincial sprouts make it their business to monitor your every thought, word and deed and decide whether or not you’re playing by the rules. The only problem is the commissions make the rules with zero input from me or you and they have a tendency to get zealous in their defence of the allegedly offended. But in this social networking age, every errant thought is posted on the Internet and the thought police are wearing themselves ragged trying to stem the tide. So instead of trying to shut down hate-filled stupidity wherever it rears its head, destroying free and honest expression in the process, Moon offers the following common sense approach: “Find ways other than censorship to respond to expression that stereotypes and defames.” Argument, debate, discussion, dialogue: Whatever you want to call it, it beats the kind of kangaroo court justice practised by human rights commissions. Now, let’s just hope someone doesn’t complain to the human rights commission about Richard Moon. “The fact that the CHRC continues to cling to its censorship powers -- even after Moon's dramatic rebuke -- shows how out of step with Canadian values the CHRC has become. When it was created in 1977, the CHRC was designed to be a shield, protecting the civil rights of Canadians. A generation later, they've mutated into a sword, violating our freedoms. And their Kafkaesque conduct violates our norms of natural justice, too. It's no longer even a matter of serious debate in Canada. The entire political spectrum has rebelled against section 13, with critics as diverse as Egale, the gay rights lobby, PEN Canada and the Toronto Star joining the National Post, the Canadian Association of Journalists, Noam Chomsky and even TV's Rick Mercer calling for section 13 to be repealed. The only people who don't seem to get it are those with a personal stake in censorship -- the bureaucrats and lawyers who make a living off the law; as well as the ethnic lobby groups that support them, such as the Canadian Jewish Congress and Canadian Islamic Congress. 'The principal recommendation of this report is that section 13 be repealed so that the censorship of Internet hate speech is dealt with exclusively by the criminal law." We can't recall the last time reading 28 words gave us such an exquisite frisson. However welcome Prof. Moon's report recommendations are, there are signs the CHRC is already seeking to undermine them. Rather than sending the report directly to Parliament, the commission has called for public consultation followed by its own set of recommendations sometime in the middle of next year. This sounds too much like an attempt to water down Prof. Moon's conclusions. What is to prevent the commission from using its consultations as a way to marshal special interest groups to oppose the report? Indeed, the commission is eager to keep its role as speech cop. And special interests are similarly eager to keep using the commission to intimidate their critics into silence. “(1) Give Richard Moon credit: He is the first person (to my knowledge) who has properly articulated the fundamental tension between the concept of human rights and the regulation of hate speech. He does so in Section 4(b) of his report, which I would urge readers to peruse carefully — especially this part: "The principal recommendation of this report is that section 13 be repealed so that the censorship of Internet hate speech is dealt with exclusively by the criminal law. A narrowly drawn ban on hate speech that focuses on expression that is tied to violence does not fit easily or simply into a human rights law that takes an expansive view of discrimination and seeks to advance the goal of social equality through education and conciliation. For reasons discussed in the next part of this section, the process established in the Canadian Human Rights Acts (CHRA) for receiving and investigating complaints of discrimination is poorly suited to section 13 complaints. More generally, there is a tension between the general purpose or ethos of the CHRA and the narrow definition of hate speech adopted by the CHRT and, with some refinement, supported in this report." This is an important insight, and one that critics of the CHRC (such as me) would do well to appreciate. As Moon writes (in not so many words), the CHRA is a touchy-feely document designed to address every imaginable psychic threat to minority communities. It is therefore understandable that bureaucrats tasked with upholding the CHRA would bring this all-encompassing mission to every aspect of their labours — including censorship. The result, Moon notes, is "a tension between the general purpose or ethos of the CHRA, and the narrow definition of hate speech adopted by [Moon himself]." “While Prof. Moon’s report is excellent, the actual power to implement his recommendations, or any others that relate to the CHRA, resides not with the commission but with Parliament. It is the nation’s elected representatives who are ultimately responsible for the act. Therefore the ball is, as they say, now in Parliament’s court. Last year, I introduced two initiatives to protect our freedom of speech. The first was a motion to remove section 13.1, the most noxious part of the Human Rights Act. The second initiative involved a request put to members of the House of Commons’ justice committee to conduct a public study of the CHRA, and by extension, the activities of the commission. Steve Janke: Who will correct damage already done by CHRC? “So what of the people who have paid thousands to defend themselves in front of these tribunals? What of the thousands that have been doled out as fines by people found guilty by a tribunal that is not a court of law? Worse yet, what of the people who have been humiliated by the CHRC, forced to pen apologies or more. By more I mean forced to go beyond apologizing for a specific incident, and instead promising to not speak again on a given subject. Using the Moon report to fundamentally redefine the CHRC is a great first step, and I'm hoping we'll see action on it soon. But I think there has to be a look back as well. Incompetence at the CHRC has inflicted a lot of damage. If a crown attorney or a judge was found to be corrupt or incompetent, every case touched by that person would be subject to review. And yes, in all likelihood, people who deserved to be punished would go free because of the taint that could not be scrubbed off. But we'd accept that for fear of the hurt suffered by innocent people because of this corruption or incompetence. OTTAWA – “Professor Richard Moon’s report on the Canadian Human Rights Commission and the Act that governs it was a courageous assessment on how we can protect one of our true rights, the right to freedom of speech,” said Dr. Keith Martin, Member of Parliament for Esquimalt-Juan de Fuca. Professor Moon’s key recommendation was that Section 13 of the Act be scrapped, given that Canadians enjoy protection from hate speech through the Criminal Code. *** Liberal MP Keith Martin resurrects Bill in Parliament to stop the CHRC and introduces a new one to hold public hearings on the corrupt CHRC! Liberal MP Keith Martin resurrects Bill in Parliament to stop the CHRC and introduces a new one to hold public hearings on the corrupt CHRC! 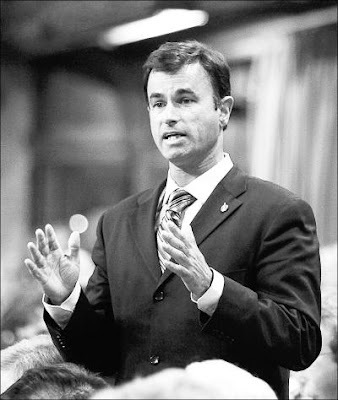 Courageous Liberal MP Keith Martin has reintroduced his motion to stop the fanatics of the CHRC the ability to investigate cases under Section 13 of the Canadian Human Rights Act. Section 13 is the totalitarian provision that allows censorship of the Internet. During the last session of Parliament, Dr. Martin introduced this motion as M-446. This session, it is now marked as M-153. Dr. Martin is also requesting public hearing into the conduct of the CHRC with M-156. M-153 — November 19, 2008 — Mr. Martin (Esquimalt—Juan de Fuca) — That, in the opinion of the House, subsection 13(1) of the Canadian Human Rights Act should be deleted from the Act. M-156 — November 19, 2008 — Mr. Martin (Esquimalt—Juan de Fuca) — That, in the opinion of the House, the government should hold public hearings as part of a review of the Canadian Human Rights Act, the Canadian Human Rights Commission and its tribunal. All freedom loving Canadians are encouraged to contact your member of Parliament and request they support both M-153 and M-156. It’s time to stop the ravenous censorship by Canada’s largest hate group – the misnamed .. Canadian “Human Rights” Commission. Further information on Dr. Keith Martin and his campaign for freedom of expression in Canada. CHRC employees are a bunch of paranoid nuts. They have seen one too many James Bond movies and believe themselves to be an ultra secret spy agency. Sadly they amount to nothing more than second rate investigators and Keystone cops, who have been caught posting hate messages and even trying to entrap respondents. But even after being caught numerous times, the CHRC has no problem spending tax-payers money at breakneck speed. In a few months in 2007, the CHRC ripped off taxpayers for a whopping $75,000 in “security”. Stealing people’s right to free speech, gagging them for life and heaping huge fines on impoverished dissidents is tough work. Your life is constantly in danger. Maybe, it’s less the danger than the guilty conscience from knowing that you are a hopped up bully beating up on people often too poor to afford a lawyer, in Tribunals where the “fix” is in, where the Member (no sexual pun intended) or Judge is chosen because he is biased in your favour for “group” rights against the individual rights to freedom of speech of the respondent/victim. Since August, 2006, the CHRC has been obsessed with “security.” Their very lives are in danger, so they’d have us and the long suffering (and paying) Canadian taxpayers believe. The Commission lawyers and their star witness Richard Warman troop into hearings surrounded by as many as five bodyguards. They’re even accompanied into the washroom by their “security.” No, I won’t speculate what these bodyguards might wipe, or do or hold in the process of keeping their endangered species charges safe in the washroom. The CHRC is totally nuts and obsessed about “security”. As part of their fantasy, they now employ multiple no-necked security personnel to follow them around all the time. This done to partly to pretend they are important (as they get more security stromtroppers than even the Prime Minister of Canada! ), and partly to pretend as tho they are somehow at risk from an imaginary underground neo-nazi army, on par with Al Qaeda. In just 4 months, the CHRC ripped off the Tax-Payers of Canada for over $75,000 in “security” fees! The CHRC consider the FreeDominion message board as a great threat. CHRC investigator Dean Steacy on March 25, 2008 testified they were a hate site and like the “Stormfront of Canada”. Of course it is not true, but the facts never confuse the censors at the CHRC. People who dare to disagree with the CHRC suddenly become neo-Nazis, White Supremacists, bigots, racists, etc etc etc. Branding your political enemies as neo-Nazi’s and haters amounts to nothing more than a scare tactic used by people with no argument. The CHRC has gotten a free ride for close to 30 years. But thanks to FreeDominion and a host of bloggers and writers, the CHRC’s “Free Pass” is over. The CHRC is a frightening place! Ground zero report. Yesterday Mark and I drove all the way to Ottawa to take some paperwork to the CHRC. They have been stonewalling us since April on our Access to Information request for the files on Free Dominion and I had a document that I wanted to give them in person that would clear the way for them to fulfill our request. We got to the building on 344 Slater St. and took the elevator to the 8th floor. When we walked in, we did not encounter a receptionist like we expected. There was a security guard behind glass, instead. When I wanted to hand him the letter with my case number on it, I had to slip it through a little slot in the glass. He directed us to sit in two chairs across from his station and he disappeared into the back. He came back out in a couple of minutes and told us that he had given the letter to someone who would pass it along until they found someone who could "give us an answer". I thought that was rather strange since I had already said that I just wanted to talk to Heather Throop and give her a document. As we were waiting, we heard a huge commotion in the outside hall, which had been utterly deserted. A guy came barrelling down the hall with a cart loaded with files, grabbed an elevator, and disappeared. I turned to Mark and whispered, "There go our files". A few moments later, a young, timid-looking girl came out and handed something to the security guard, whispered something to him, and then retreated quickly from our sight. I honestly thought the poor girl suspected we were wired with bombs! The security guard then told us that Heather Throop wasn't in, but asked if we would like to talk to Deborah Cansick. I said that that would be fine because I have talked to her by email several times. Mark and I stood waiting as the security guard walked out the back door of his booth and we prepared to go in to see Deborah Cansick. To my utter astonishment, he, instead, picked up a phone in the waiting room, dialed a number, and handed it to me. I wasn't even allowed to see Deborah Cansick...I had to speak to her on a phone while she hid in another room!! Well, to make a long story short, Cansick told me there was no point in giving her the paperwork I brought because they weren't planning on fulfilling my request. I hung up the phone, took my letter back through the little hole in the window, and Mark and I left the office for the elevator. As we were waiting, an older woman and a guy with a bunch of earphones attached to him came and waited with us and got on the elevator as we rode down. I said to Mark later that it seemed like they appeared out of nowhere to make sure we actually left the building! Both Mark and I were spooked by our experience at the CHRC. It was unlike any other government office we have ever seen. Talk about "faceless bureaucracy"! It is absolutely frightening that these people, who spend their days hidden behind a security guard and bulletproof glass, have the power to utterly destroy the lives of Canadians, and they don't even have to look their victims in the eyes.